This site was created as a design exercise for Google. I wanted to do something different than my previous version of the same exercise. 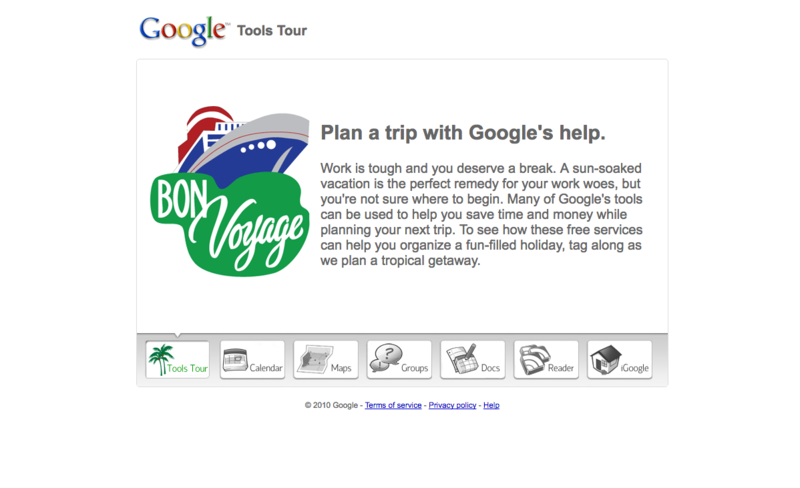 The body copy I was given was nearly the same as when I did the exercise almost 2 years ago, so I freshened it up a bit to include more of Google’s collaboration tools that I would actually use to plan a vacation. I checked my Delicious bookmarks for some design inspiration, came across some jquery sliders, and decided to give one of them a try.